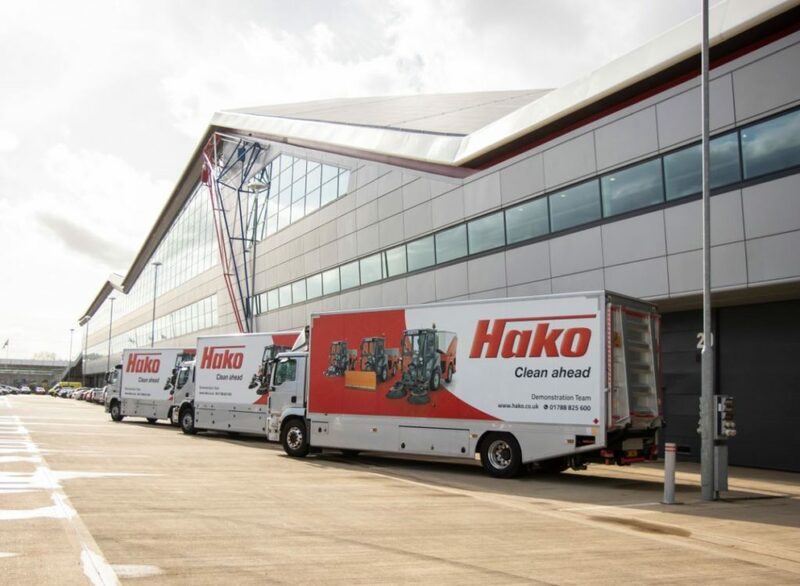 Hako hardware was all on show at Silverstone. And what a birthday it was….celebrating 40 years in the UK. And what better way to celebrate than to have a party with top customers and suppliers. 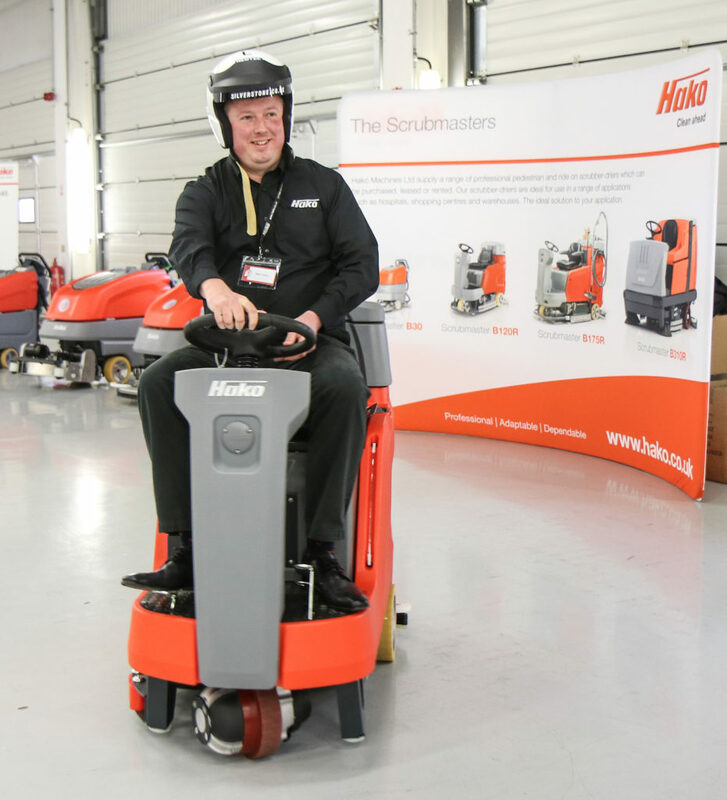 Staged at Silverstone on March 14, Hako users from throughout the country joined in the festivities which included equipment demonstrations, new launches, high level seminars and some adrenaline fueled laps around the track. And to cap it all off there was a birthday dinner for some of Hako’s VIP guests. Among the 100 or so invited guests were representatives from Tesco, BT, The Trafford Centre, York University, Briggs Equipment and DPD to name but a few. Hako UK’s managing director, Sylvie Giangolini. Sylvie with some of the stars in the Hako team. 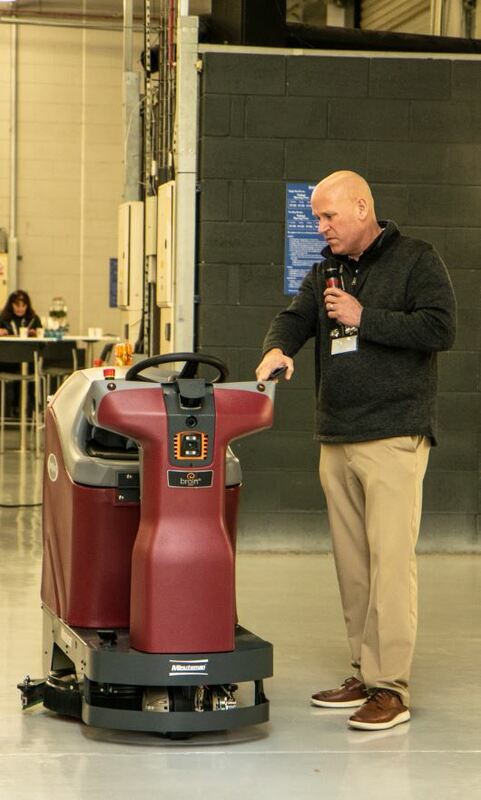 One of the stars of the Silverstone event was the Roboscrub 20, heralded as the next generation of robotic floor care. The advanced A.I. system enables the robot to navigate complex, real world environments and designed to work safely and efficiently alongside employees and can still be used manually when required. Launching the Roboscrub 20, heralded as the next generation of robotic floor care. The event filled day was followed by a gala dinner which proved to be a first class networking event for all those who attended. 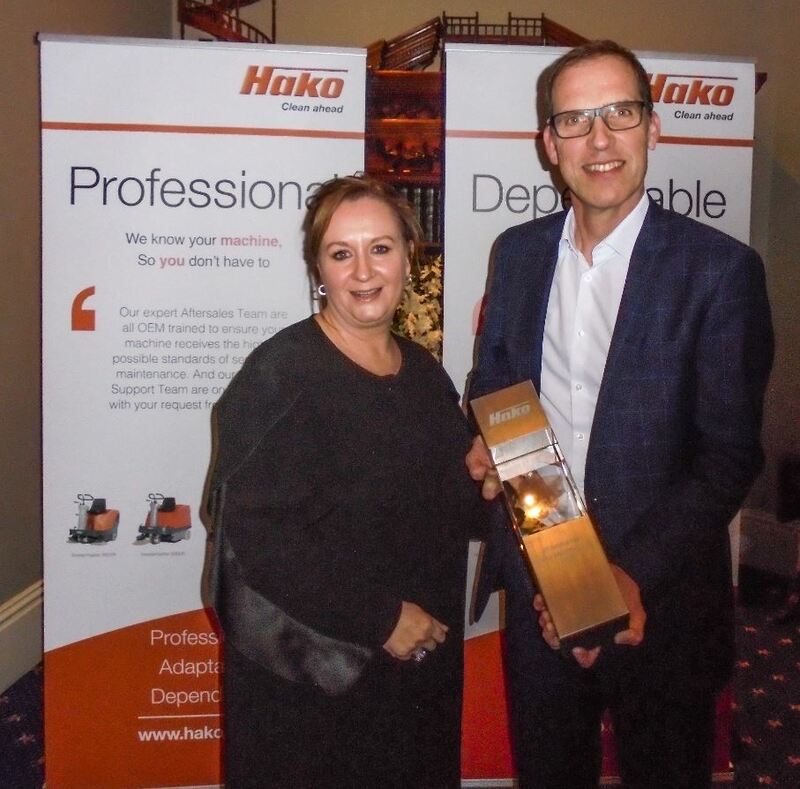 Happy birthday Hako, Frank Ulbricht presents Hako’s managing director, Sylvie Giangolini with a memento to mark 40 years of trading in the UK. Jason Airey – Managing Director of CMS Supatrak. Hako’s telematics partner.